This is a collection of handy aphorisms that have proved their worth over the years. 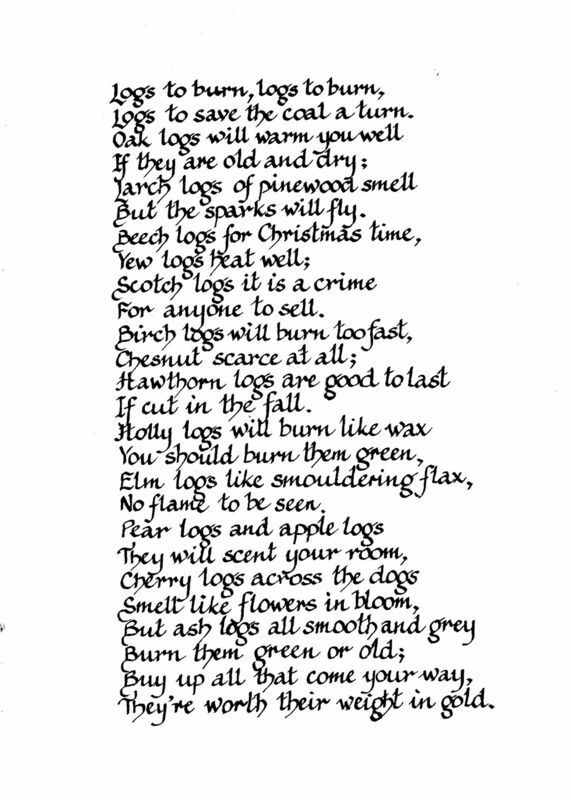 This is one of my father's caligraphies, logs to burn. 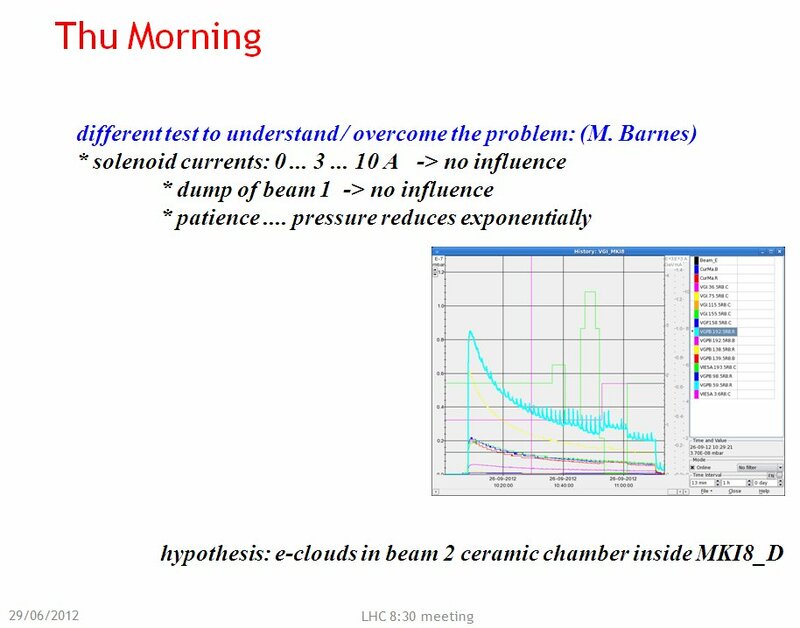 This power point slide was in this morning's [27 September 2012] operational notes of the LHC. If in doubt, do nowt. 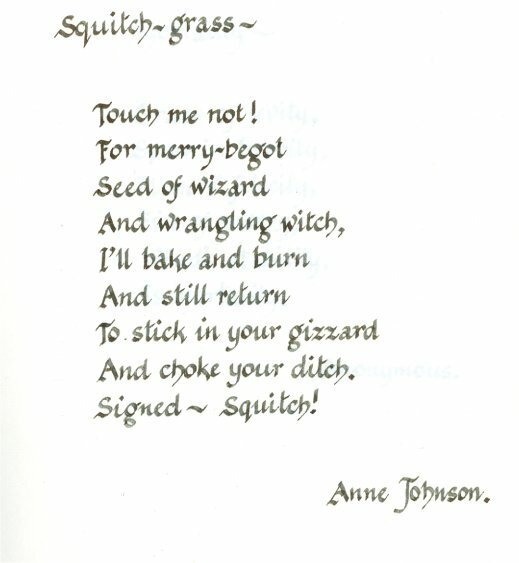 This is one of my father's caligraphies, about the scourge of gardens and allotments, squitch. It grew well in Cheshire where I come from and the saying there was 'If its long enough to have two ends, it will grow' I rather think that the sort we encountered in our North Wales garden was even more virulent than the Cheshire sort. My sign that it may be safe to put out tender vegetables is when 'the sweet May flowers' are out. Pity I didn't heed my own advice this year! 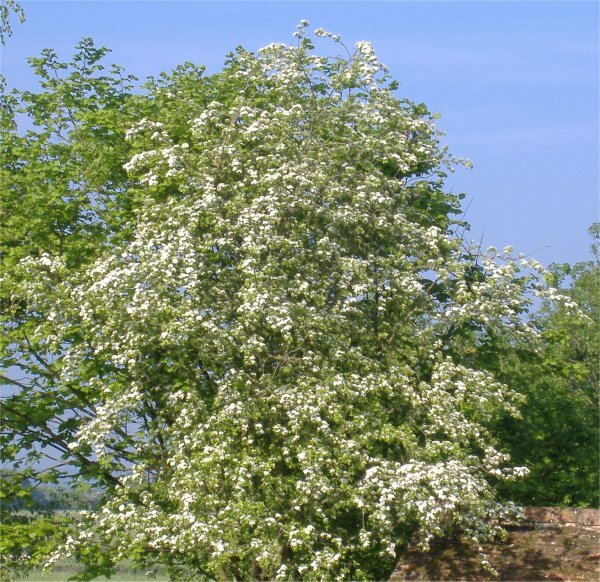 Hawthorn blossom is also called May blossom where I come from. One year at Rookery Cottage, in the 70s, I was all for re-naming it June it was so late. What it did have though was a magnificent hawthorn hedge, this had been planted just before the war circa 1938 as part of a road widening scheme and hadn't been touched since. 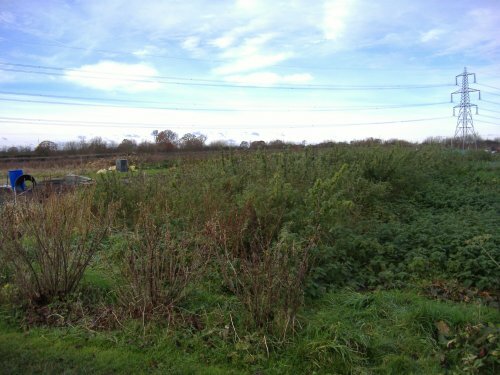 The widening scheme was also abandoned. Every year, forestry commision workers and their cherry picker used to come by and pick haws from its top branches for their seeds. The rest of the land around the cottage had also been left to itself although a local farmer used to cut the field for hay. There were magnificent bramble thickets and rampant undergrowth. A daunting prospect when there was also a house to make habitable. So when Amy O'Neil offered us her old goat Jane, we accepted readily. Now I could fill a whole website with stories about that old goat but they will have to wait. Suffice it to say, Jane turned out to be a magical creature, a veritable unicorn to me, as she set to to eat all the brambles, devoured the bushes and then started on the bark from the apple trees. Miss Fowles could easily have a section just to herself. She was a lady who lived in the village and was well in her 90s when she died. She had been through two world wars and her life spanned huge changes. When we first knew her, she kept a small shop in a shed next to her house. The house had neither electricity nor main drains. At least we had 'the electric' but it was some time before any of us would be able to do without the weekly collection by the council's 'night soil' men. What has triggered this was a conversational I had with Ann at our recent party. She was recalling how, as a young woman, Miss Fowles had taken her aside to impart some helpful advice to someone about to move away from home. This was on the subject of 'browning sticks' and Ann was keen to pass this knowledge on to me as she felt that otherwise it would be lost for ever. All Miss Fowles cooking and heating was done on a coal fired 'range' and she made some wonderful things on it. Her cakes were especially good and now I know the secret. She used browning sticks. She showed these to Ann, they were a bundle of well dried sticks and she would throw these onto the fire when the cake was nearly done so as to raise the oven temperature to the point where it would just nicely brown her cakes at the right moment. My mother also did her cooking on a similar range when we lived at Queen's Cottage two decades before. Ours had a large oven below and a small oven on top and my mother used to put any remnants of bread into the top oven for bread crumbs and to feed the cat. These were a bit like the paximadi that Terry and Margaret's neighbour in Greece makes in her bread oven. I don't think that the cat got to eat many of ours though as Ann was particularly fond of them and could often be discovered crunching on one. My grandparents also had a similar range and my grandmother would use it every day to provide the hot lunchtime meal that my grandfather expected before he returned to work. Now she was not re-knowned for her domestic economy and never managed to switch the damper over from 'oven' to 'back boiler' once she had finished warming his food. This is an interrogation I still find to be of great utility when I return home and find all the lights shining brightly in un-occupied rooms in the house. Long morning or short afternoon? Miss Fowles also had a very useful expression for any lunchtime that went beyond 12 noon which was that 'Its a long morning and a short afternoon'. Or, should you take an early lunch, then you had a 'short morning and a long afternoon'.